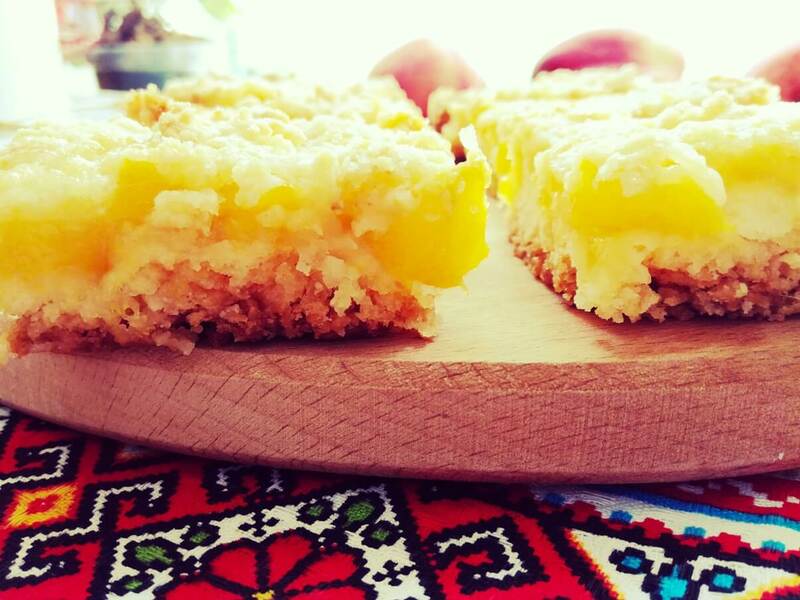 Crumbling texture of a moist pie combined together with a warm, juicy peach filling – this not only sounds appetizing but also tastes incredible. and in the blink of an eye – you’ll get a flavorful, luscious peach tart. 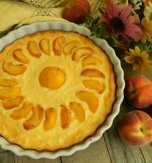 To bake this pie we’ll use fresh peaches that will give the dough their sweet, tender aroma. 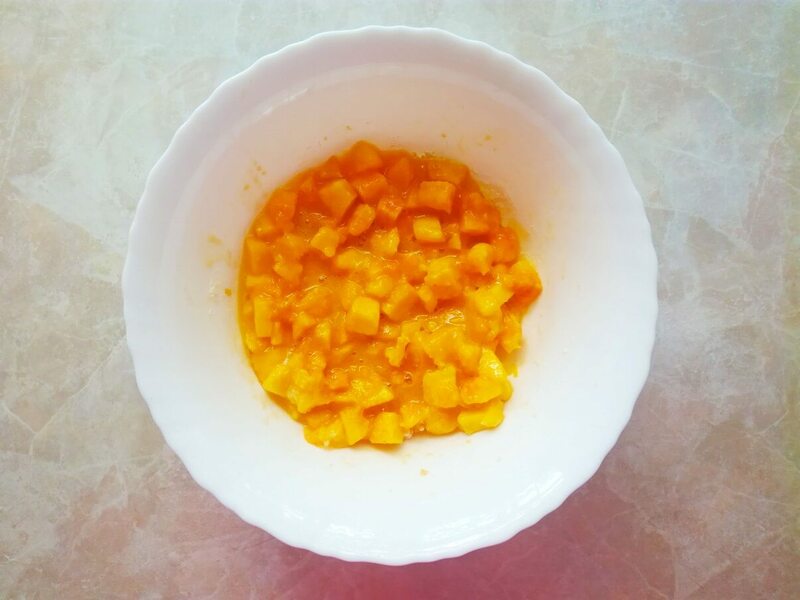 Wash and peel peaches. Remove stones and cube the peaches. 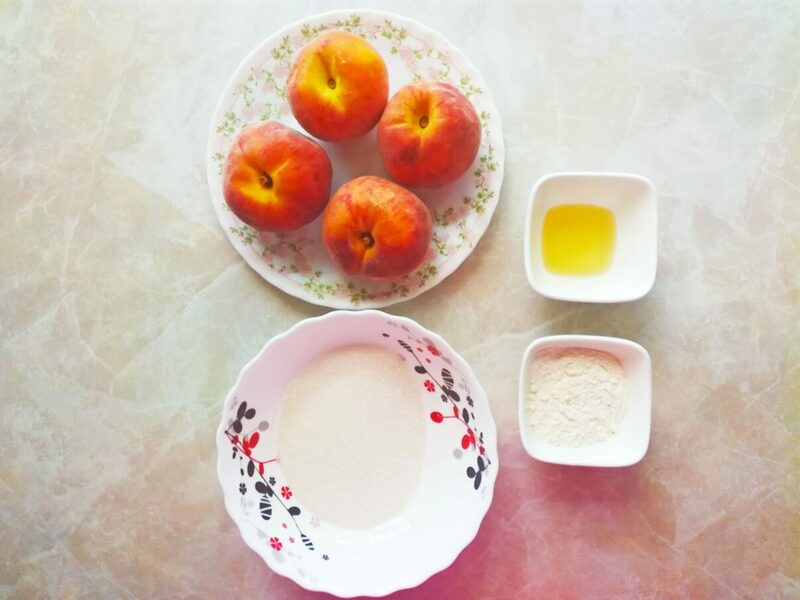 Place the peaches in a bowl and toss them with sugar, sifted flour, and lemon juice. Mix until smooth. Set aside for a while. 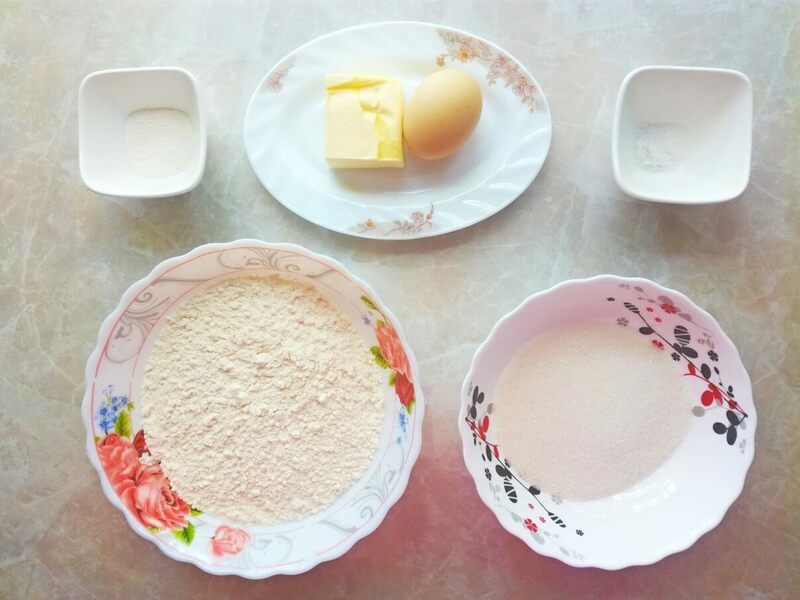 Now let’s make the dough. 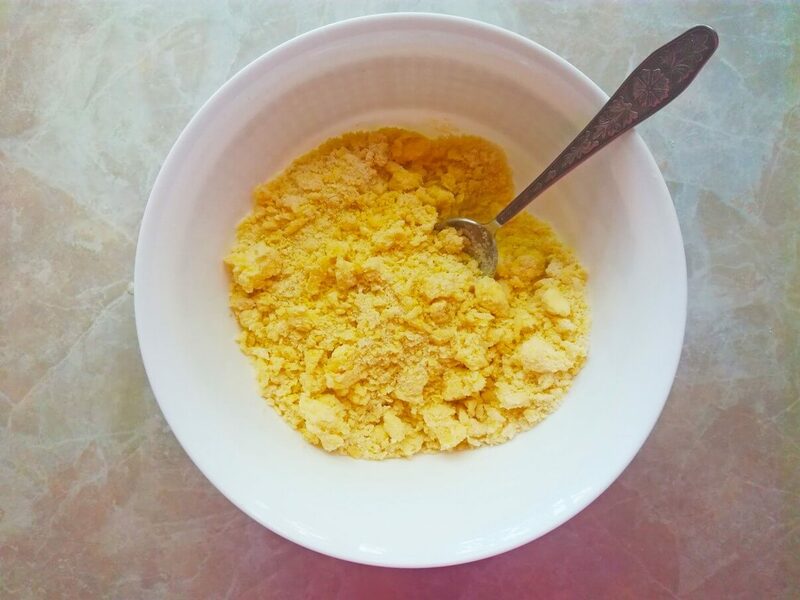 Combine sifted flour, sugar, baking powder, and salt. Stir the ingredients. Then cut chilled dairy butter into medium pieces and add it to the mixture. 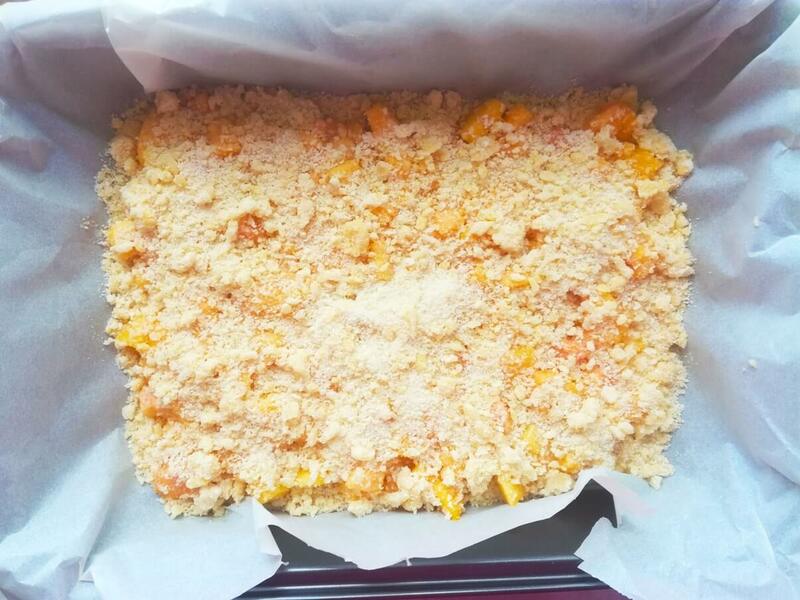 Crumble the mass with a fork thoroughly. Add an egg and mix everything. You should get a homogeneous mass. 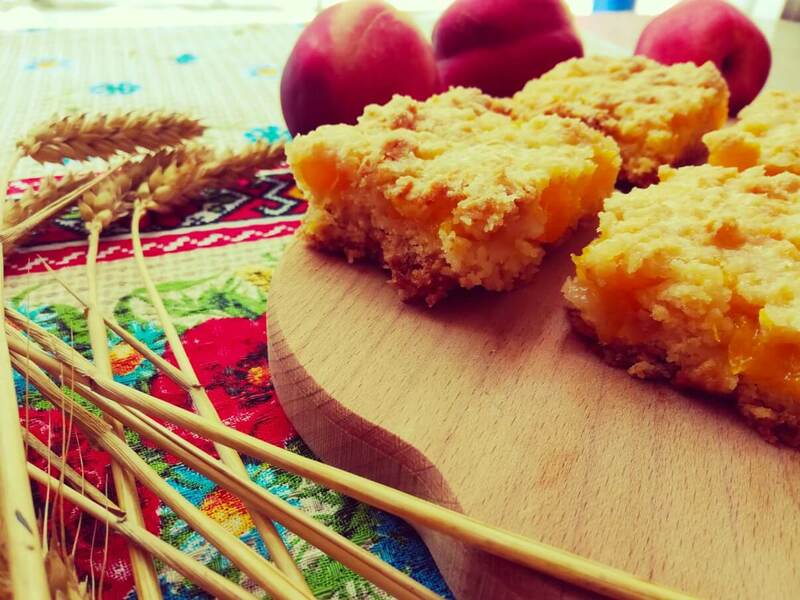 Cover a baking tray (20х20 cm) with parchment paper. Arrange half of the dough there. 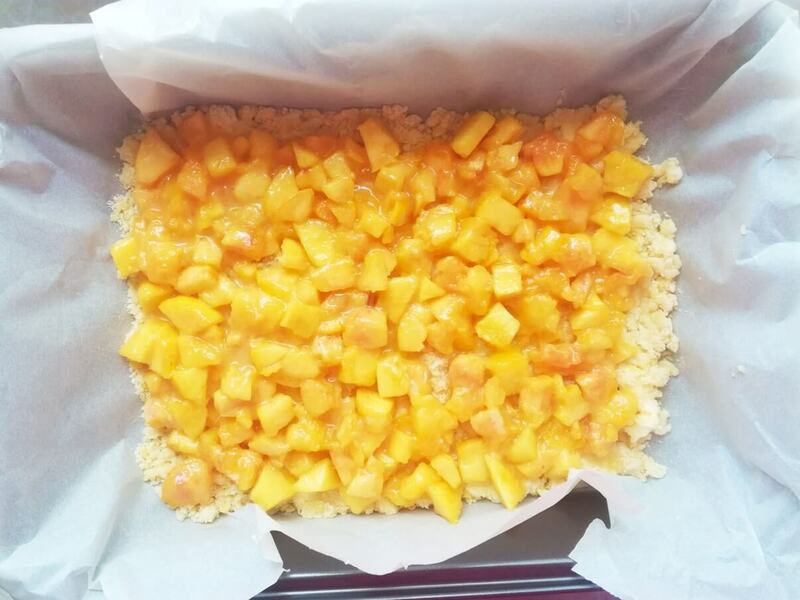 Put the peach filling above evenly. Cover the peach filling with the remaining dough. 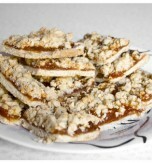 Preheat an oven to 180°С (356°F) and bake the cake for approximately 45 minutes until the crust is slightly brown. Let the baked cake cool at room temperature. Cut the cake into pieces and serve. 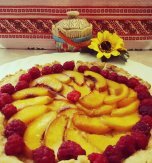 Have you liked the recipe for a peach shortcrust tart?